Coccidiosis is a major problem which leads to many young chick deaths. Common in greenfinches, canaries, other British Finches, pigeons and poultry. 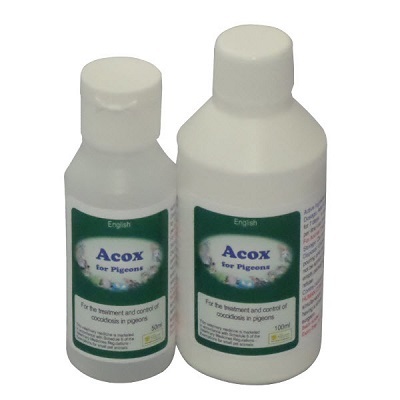 Acox is what you need! A liquid treatment for coccidiosis (birds going light). Added directly into birds drinking water. DO NOT GIVE WHEN CHICKS ARE IN THE NEST. Add to the drinking water at the rate of 6 mls per litre of water, and give for one week. In bad cases it may be given at half that rate for a second week.